Please NOTE: The events below are listed by date descending…that means you will need to scroll down to see the events according to their date in the year. For example, July events are further down in the list than August events. Registration deadline: April 5th, 2019 . Click here for form. We are pleased to announce our annual Community Passover Seder which will take place on Saturday April 20th where we plan to celebrate the second seder of Pesach together as a community You, your family and your guests are all invited to attend. We will once again cater a delicious meal. Doors will open at 5:30 pm so come early, socialize with your fellow congregants and find a table you want to sit at. Please bring your own Kosher Wine. Juice will be provided. The cutoff date for registration is April 5th 2019 so please let us know as soon as possible. YOU MUST Pre-register, (and pre-pay if possible) using the form. Click HERE for form or simply by sending an email with details of who is coming back to bisptbo@gmail.com. There will be no admission at the door for people who have not pre-registered. Payment by mail before April 5th is appreciated. Please see form for details. After April 5th, payment is at the door. If the cost is an issue please contact Larry Gillman on a confidential basis. We want everyone to attend, and money should not be an issue! Please contact Larry through bisptbo@gmail.com. Beth Israel Synagogue’s General Manager, Joe Teichman is going to provide insights on his family’s experiences with autism. See the poster below for details, or download poster here. Includes a Community potluck. Come out and join fellow community members for this celebration. Food to be brought. Please adhere to the Potluck Rules. Forward your RSVP and any questions to: bisptbo@gmail.com . 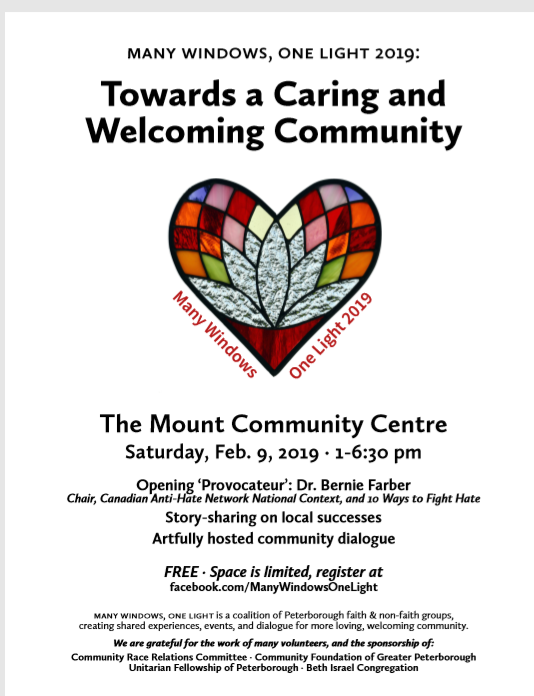 When: Saturday, February 9th, 2019 13:00 a.m. – 18:30 a.m.
On February 9 at The Mount Community Centre, the Beth Israel Congregation is a partner in presenting an inspired afternoon of participatory dialogue and story sharing on the best local, proactive responses to hate. The goal is to discover synergies and next steps among activists, community leaders and groups doing work on these issues. This event is created by a community coalition of faith and non-faith groups we co-founded in 2017, and sponsored by partners including the Unitarian Fellowship of Peterborough, the Community Race Relations Committee and the Community Foundation of Greater Peterborough and Beth Israel Congregation. And then: Artfully hosted participatory dialogue to discover possibilities, partnerships and next steps. Our lead host is Ben Wolfe, a local and national community-builder and Art of Hosting practitioner. The Creating Space art hive will be there with artmaking supplies. We’ll finish with a potluck dinner with all participants. This event is free to attend — but come prepared to participate deeply. Space is limited, registration required. Hate crimes and anti-semitism are growing both here in Canada and around the world. With this in mind Beth Israel is a co-sponsor of an event on February 9th (more details in this newsletter) at The Mount Community Center, which will focus on hate and our collective response. The keynote speaker is Bernie Farber the former Chief Executive Officer of the Canadian Jewish Congress, a very sought-after speaker on the subject. A profile of Bernie is below. Please note that registration is limited to 150 people, and that 30 people have already registered. Please hit the link below and register as this event will hit 150 people. Join in an inspired afternoon of participatory community dialogue and connection that will share deep stories of the best local, proactive responses to hate, and then discover synergies and next steps among activists, community leaders and groups doing existing work on these issues. 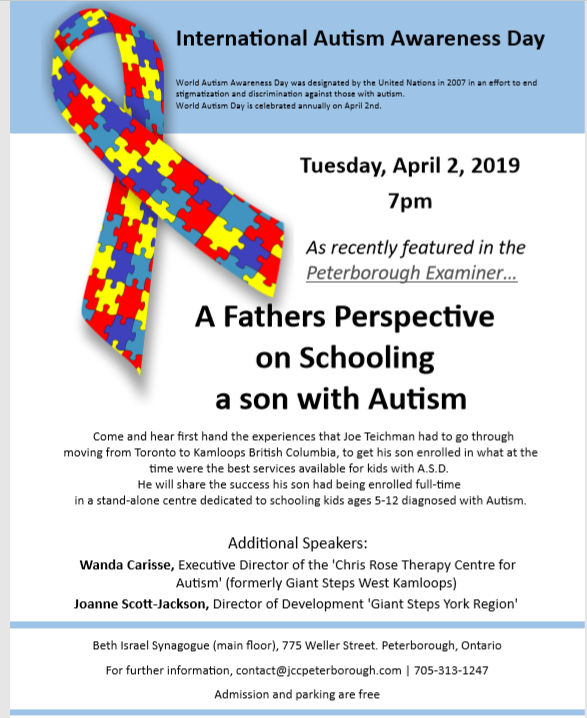 This event is created by a community coalition of 14 faith and non-faith groups, and sponsored by partners including the Community Race Relations Committee, the Community Foundation of Greater Peterborough, the Unitarian Fellowship of Peterborough and the Beth Israel Congregation. When: Saturday, January 19th, 2019 10:00 a.m. – 12:00 a.m. The first meeting of the BIS kids program will take place Saturday, January 19 from 10 am-noon, and will feature learning about the holiday of Tubishvat. This monthly get-together will be a chance for children and families to share space, learn about Jewish culture and holidays, sing songs, and also learn a bit of Hebrew. All are welcome to contribute ideas and teaching at future gatherings. All Jewish children and their caregivers are welcome. The program is geared to all children under bar/t mitzvah age. Please contact Ziysah or Corinne at bisptbo@gmail.com if you have questions or ideas or would like to help out in some way. The success of this initiative depends on you. We saw clearly at the Chanukah celebrations that once again (and for the first time in many years), we have in the Peterborough area a good number of young Jewish children or children with Jewish family connections. What a great way to get together with families like yours, for adults to meet and for kids to get to know each other and participate together in fun learning activities. Mark you calendar and be there with your kids – grandparents welcome. Support this very worthwhile initiative. When: Sunday, January 13th, 2019 10 :00 a.m. In our ongoing efforts to share and to get to know one another, a ‘choir’ has formed. That group sang at one of your Shabbat services last year, and are singing at UFP’s service this coming Sunday. We heartily invite all BIS folks to join us on Sunday. The theme we’re working with is “Perseverance” and on this Sunday, we’re focusing on the question of “where we are going” in our future with BIC. It was specifically requested by some BIS folks that this be a rather ‘typical’ UFP service, so that y’all could experience who we are and what we do on Sundays. So, I hope that many will join us. Our service begins at 10 am and we’re out of here (including coffee time) by 11:45/noon. The community will also be holding its Chanukah party on this evening after the service, so put and especially big Star of David on your calendar for this date. Details will follow in upcoming newsletters. Performance by the Lirit Women’s Chamber Choir. Reception for all guests and participants in the synagogue foyer. Admission is Free. Parking is also Free in the synagogue lot. Who are Lirit? (from their website) Founded by soprano and conductor, Renée Bouthot, Lirit Women’s Chamber Choir is a Toronto-based group of experienced choral singers. They are committed to exploring the joy and vast range of Jewish music, whether through Jewish texts, themes or composers. To learn more about Lirit and their music, check out their website at www.lirit.ca. And don’t forget to tell your friends about this special event. All are welcome. The Refugee Sponsorship Committee of the Unitarian Fellowship will be screening a beautifly animated full length feature “The Breadwinner” on Nov.9 at 7 pm downstairs at the Beth Israel Synagogue/UnitarianFellowship. It is the story of an eleven year old girl growing up under the Taliban in Afghanistan. Following the film there will be a Q and A with Mahsa Mohseni, an insightful young Afghan woman who now lives in Peterborough. She will talk about traditional Afghan culture and its impact on young Afghans. All proceeds support the Refugee Sponsorship Fund of the Unitarian Fellowship so pay what you can. The film is rated PG13. Navigation of the stairs will be necessary for this event. Free parking is available in the synagogue’s parking lot. to show their support for the valuable work that he does with unflagging energy. See and listen to Max Eisen’s presentation at Trent University’s convocation accepting an honorary degree. Click here. Events on behalf and in honour of the Tree of Life Synagogue victims. Many in our community have expressed the need to come together to grieve and process this horrific act. We will do so this Friday evening at Beth Israel. We have also invited our friends from the Unitarian Fellowship, many who attended the vigil today. The following are the details of the Shabbat service. Services begin at 6 pm sharp, and will be led by Dr. Dan Houpt. Everyone is invited to read a prayer, a poem, or say express what is on their minds. There is no need to reply now, as everyone will have the opportunity to express themselves at the service. This will be a very special and non-traditional Beth Israel service, to honor the Tree Of Life Victims. 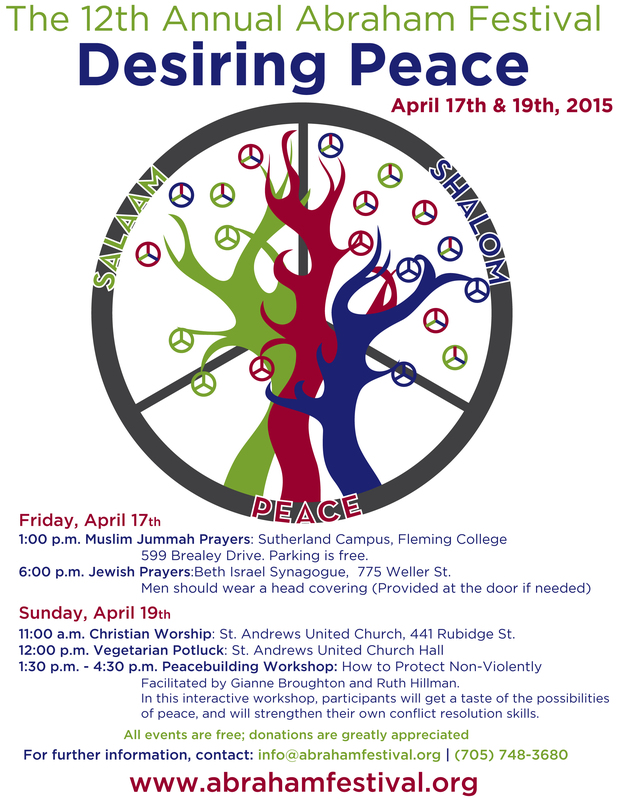 The Abraham Festival committee has agreed to provide a modest Shabbat meal following the service. There is no need to reply with numbers as we normally do. The shooting in Pittsburgh left many of us with feelings of grief and fear. Come share your concerns in a community of support. We will also recite the names of the victims and light a candle in their memory. Rabbi Denise Handlarski, who teaches in the Trent School of Education, will facilitate. This will be a non-denominational program. All are welcome. For those of you who don’t know, at a visioning exercise held some months ago,between our Beth Israel community and the Unitarian Fellowship, one of the areas identified for action was the development of joint and shared programs between the two communities. The Unigogue Choir brings together people from both communities who like to sing. Their repertoire includes songs from our tradition as well as songs that the Fellowship uses in their services. Please do join us for this special Kabbalat Shabbat. We hope that everyone is enjoying the summer weather with family and friends. 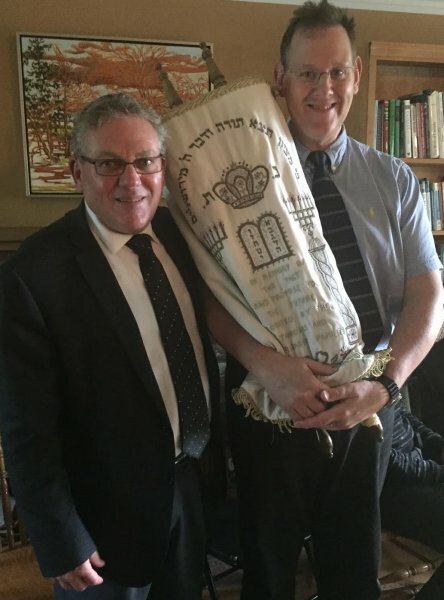 But, there is one thing to look forward to as summer draws to a close and that will be the visit of Cantor Leon Litvack to lead us through the observances for High Holy Days for the year 5779. As he has in the past, Cantor Litvack will make the services something that will have meaning for all and that will be open to all to participate in and enjoy. This year again he has provided us with a specific theme for Spiritual Reflection to be discussed on Yom Kippur afternoon. Download a pdf or Word doc version to complete your spiritual reflection in advance and that can be shared. Cantor Leon will lead us in a Minchah (afternoon) Service, focussing on a specific theme which will then be followed by a potluck at the Houpt Farm. Maps available on request. Wear comfortable clothes and for kids, fields of space to romp around in. Please NOTE – this is a dairy potluck as we usually have in the synagogue. many adults, how many kids (12 and under) and what food you are bringing for the potluck. WE NEED THIS INFORMATION BEFORE SUNDAY SEPT. 9.
until the service has ended). Torah / Musaf / Shofar blowing. Spiritual Reflection Discussion. Homework needs to be done and submitted to Cantor Litvack beforehand! Followed by communal breaking of the fast potluck dinner. and whether you can help with cleanup. Watch for more details about the schedule and services’ content on the Religious Observances web page. Please mark the dates in your calendar and come out to support these events. As usual, Dr. Dan Houpt will be leading services. Come out and join fellow community members for this celebration. The joint Beth Israel Synagogue/Unitarian Fellowship of Peterborough “Fun Fair” committee has started to plan fun events for our congregations. To start, we’ve reserved a spot in our city’s Open Streets event. For one summer day, George Street transforms into a vibrant car-free corridor filled with families pushing strollers, cyclists and roller-skaters. The whole city is invited to walk, bike, dance, play and socialize! And we’ll be there…promoting our two communities and making ourselves visible! Mike Davidson, a UFP member, teaches improve comedy at Fleming College and will be coordinating some funny-ness with members of the community passing by. Make sure to attend if at all possible. We welcome you to become more involved with Beth Isarel Synagogue and the Peterborough Jewish community. We look forward to you being there! Synagogue/Fellowship in the downstairs community room. such as revitalizing the courtyard and alternative management/ ownership arrangements. We’ll have a GREAT LUNCH (including dairy and gluten-free options) TOGETHER! $5 donation is encouraged but not required. Differences, doubts and reservations are welcome! Let’s discover what we are afraid of, what we long for, and what next steps we could try. When: Saturday, April 21, 2018 4:00 p.m. – 9:00 p.m. Many thanks to Dr. Dan for being the Beth Israel representative at the Abraham Festival happening. We are pleased to announce our annual Community Passover Seder which will take place on Saturday March 31st, the second night of Pesach. You, your family and your guests are all invited to attend. The Seder will begin at 6:00 pm sharp, immediately after Havdalah!! Doors open at 5:30 pm. Larry Gillman c/o of bisptbo@gmail.com . We will once again cater a delicious meal. Attach the completed registration form and send to: bisptbo@gmail.com . Volunteers required for set-up only for the Seder. Contact Larry Gillman c/o of bisptbo@gmail.com if you can help out. 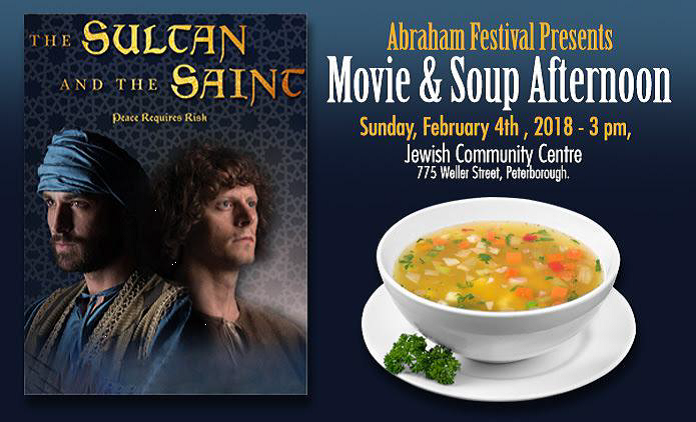 Sunday, February 4, 2018: 3:00 p.m.
$12 Cover Charge for movie and soup. January 28 and 29: 5:00 p.m. – 8:00 p.m.
Food to be brought. See below for Potluck Rules Refresher . Forward your RSVP to: bisptbo@gmail.com . On Sunday December 3rd we will be sharing a very special meal (catered) and a joint idea-generating session with both the Unitarian and Jewish communities. Time: 2:30 p.m. to 6:30 p.m. Towards the end of the afternoon, a lovely Mexican style meal will be provided with lots of gluten-free and dairy-free options. To have fun sharing ideas and visions about a possible project to make the courtyard of the synagogue more beautiful and meaningful. A link to the Imaging Session poster is here: Beth Israel Imaging Session poster. We just want your thoughts and knowledge… This is not a call for volunteers. The meal and clean-up will be provided! A 2011 French film written and directed by Ismaël Ferroukhi, which recounts the largely untold story about the role that Algerian and other North African Muslims in Paris played in the French resistance and as rescuers of Jews during the German occupation – 1940–1944. Monday, October 30: 7:00m p.m.
How has documentary and feature film shaped ideas of the Holocaust for the public? This talk will address one educator’s experience through three decades of teaching the Holocaust at a university level, and will explore the impact of such films as Shoah, Schindler’s List, The Pianist, In Darkness, The Boy in the Striped Pajamas, and Son of Saul. Carolyn Kay is a professor of modern German history and the Holocaust at Trent University. She has utilized film in her courses on the Holocaust since the early 1990s. In 2014 Kay attended a teaching seminar at the U.S. Holocaust Museum on the use of film in Holocaust courses, and she will share some of the insights from this seminar while also reflecting upon her students’ reaction to films in her Holocaust courses. It will a special honour to present Dr. Kay and have her speak at the synagogue on October 30. Tuesday, October 24, 7:00 p.m.
Jewish, Christian and Muslim. We hope the juxtaposition of these different religions and cultures – all with profound spiritual and historical connections to the city – will reveal how much Jews, Christians and Muslims have in common and inspire all of us to better understand each other. We believe that the power of the images and stories in JERUSALEM will allow our audience a unique window into the lives of others. Every stone in Jerusalem has many stories. It is the collective power of all these stories that makes the city so endearing to billions of people. Beth Israel Synagogue and the Unitarian Fellowship are co-sponsoring an inter-faith weekend at the Shul the weekend of October 14 and 15. More details can be found in the flyer appended to the end of this newsletter, as well as just below so read on. The opening session will take place on Saturday October 14th from 3 – 5 pm with presenters from at least 13 spiritual paths reflecting on the following question for 5 minutes each; “How does your spirituality give hope, promote love, foster unity, build community and express itself by helping others in the wider world?” The Jewish community will be represented by our very own Dan Houpt. Between each presenter, a candle will be lit and there will be a short interlude of music and/or a quote that Rev. Julie Stoneberg, spiritual leader of the Unitarian Fellowship and the chief organizer of this event, will read. The afternoon presentations will be followed by a potluck dinner and entertainment, a potpourri of local talent including singers, dancers and musicians The program will continue on Sunday with a “Hosted Conversation”. All events are free, but a $15 donation is suggested by the organizers to help defray their costs. Doors open at 6:30 p.m. Film showing at 7 p.m.
No charge for admission but donations appreciated. a 45 minute documentary in which filmmaker Roberta Staley explores how young female journalists in Afghanistan are fighting for the right of Afghan women to live and work without abuse and harassment. Join us to learn more about present day Afghanistan. There will be time to ask questions and to enjoy refreshments following the film. Needlework from Afghanistan will be on sale and the newest edition of Deborah Ellis’ book “The Breadwinner” with illustrations from the animated film which is soon to be released. Please include an ingredients list for the dish you plan to bring to the potluck as we wish to protect those of are allergic, lactose intolerant or required gluten-free products. As a reminder/refresher, here is a condensed review of the dietary rules as they apply to food brought to Beth Israel. · Kosher fish (no kosher symbol is needed): Fish that have fins and gills are considered kosher. Salmon, tuna, whitefish (and many, many more) are great bets. The full guidelines document is available on request, and if you are not sure about something, just ask by making the request bisptbo@gmail.com with your question. As a Jewish Community in small town Ontario we have many blessings and much reason to feel good about our situation. First and foremost we have a community of really caring people, who look after others both inside and outside our community. We are blessed to be the second smallest city in Ontario that has a synagogue. Not only is it a beautiful building but it is in relatively good shape and is well used by our community and others. We have a group of very dedicated volunteers that delivers ongoing programs and services that meet the needs of our community. Our blessings go on and on, and we are indeed fortunate. Our Annual General Meeting is set for June 21st at 7 pm at Beth Israel, and it is always wonderful to socialize with others. It is also an opportunity for all of us to come together and discuss community developments and where we are going. This year has only one voting matter which is to vote in the President and the new Executive Board. If you would like to serve on the Executive, please contact me now as the slate will be voted in at the meeting. Many current board members have served for a long time and their contribution to the ongoing survival of this community has been significant. Some will be leaving for various reasons other than just long service. A vibrant community with a future needs to be led by a board that has fresh faces and broader community engagement, so please consider serving on the board. Please note that everyone is encouraged to attend the AGM, however only community members in good standing are allowed to vote. On another note there is a Messianic Jewish group that was recently founded here in Peterborough. This organization is also known as one manifestation of “Jews For Jesus” movements. Some of you may have seen the pictures of their Passover Seder in the Peterborough Examiner, which was followed by a letter to the editor from a Jew living in Peterborough and a response from the leader of the Messianic community. All of this has led to much discussion and to alleviate any confusion in our community, the board has taken the following actions. Jews for Judaism, established in 1985 by Rabbi Bentzion Kravitz, is an international organization that focuses on preventing Jews from converting to other faiths and reclaiming those who have already converted. It is the largest counter-missionary organization in existence. It provides counseling services, education, and outreach programs to all Jewish denominations. The name Jews for Judaism was developed from Jews for Jesus, one of the principal missionary organizations it was founded to counteract. One of its prominent early members, Larry Levey, was a Jewish convert to Christianity who then converted back to Judaism and led the Baltimore office of Jews for Judaism for a number of years. In addition to its activities in response to Christian missionaries, Jews for Judaism has also been noted for its critiques of the Kabbalah Centre. I look forward to seeing everyone on June 21st. David was a good friend and a member of Beth Israel Synagogue who sadly passed away last year, far too early in a productive life. He is sorely missed by his wife Patricia and members of his family and by our community. The unveiling of his headstone will take place as indicated above and everyone is welcome to attend to honour David’s membory and show their support for the family. Afterwards, Larry Gillman and Jenn Reid invites everyone to a reception at their home at 1 Cindy St. here in Peterborough. If you need directions to the cemetery or to Cindy St., just email bisptbo@gmail.com and ask. Thanks to Alvin Gallay for volunteering to lead the organization of this event and to Dan Houpt who will lead the evening service. April 11, 2017, Tuesday Evening. You and your guests are invited, but the organizers need to know who is coming as soon as possible because the meal is catered and cooked off site. THIS IS NOT A POTLUCK – No food to be brought in. 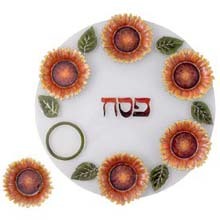 The Seder will start at 6:30 pm SHARP and will be led by Dan Houpt, Larry Gillman and Alvin Gallay. Download this registration form, complete and send by email to bisptbo@gmail.com before March 15, 2017 if at all possible! The Organizers will be looking for volunteers to help with setup and cleanup. There will be a cutoff date for registrations that will be announced shortly after March 15, but to help the planners please respond as soon as possible!!! Soup: 6:00 p.m./ Movie: 7:00 p.m. 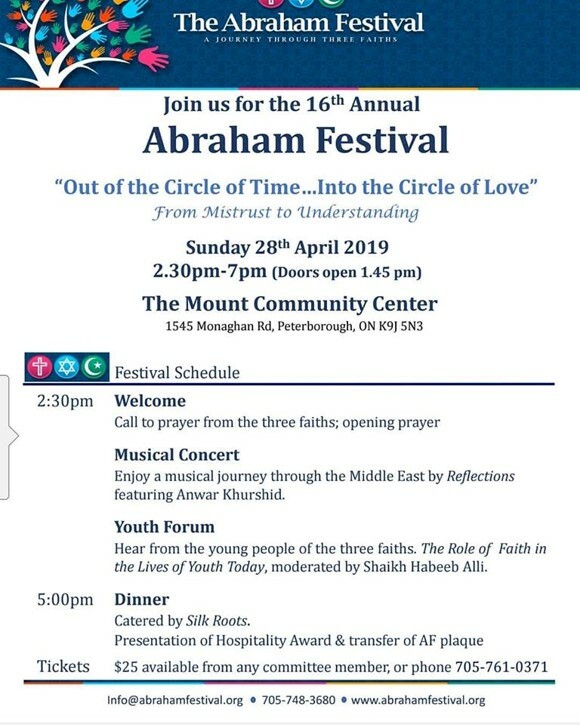 Please note that this is a fundraiser for the Abraham Festival, the multicultural festival held for many years now that brings together Peterborough’s Christians, Muslims and Jews to explore common themes and to make personal connections. 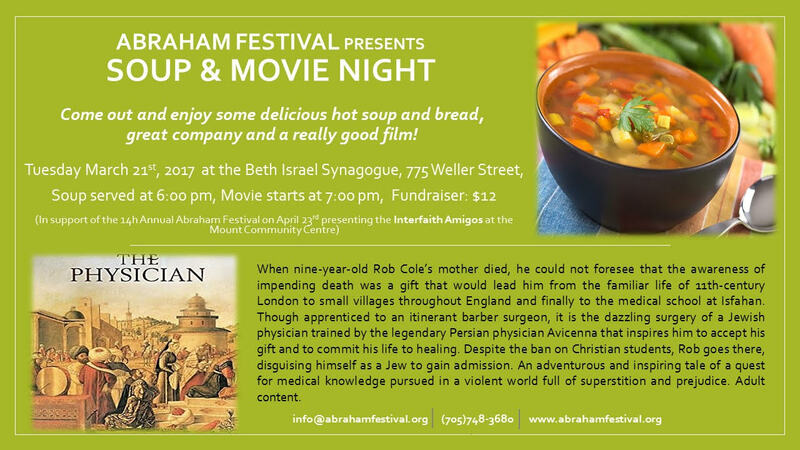 Especially today, the message of the Abraham Festival is an important one and your support by attending the movie night helps to continue this worthwhile activity. Please mark these dates in your calendar and come out to support both events. As usual, Dr. Dan Houpt will be leading services . The services and potlucks following are both fun and your participation is very welcomed. Please RSVP (using the information below – response for each event) to let the organizers know who is coming, and what you plan to bring for the meal. As well VOLUNTEERS are needed for SETUP(evening before) and CLEANUP (after the meal). Who is coming…Number of adults and kids (12 yrs and under). Can you help on the Thursday evening before the Kaballat Shabbat to set up. Can you help on the Kaballat Shabbat Friday after the potluck to clean-up. Please RSVP with the information above or send any inquiries to bisptbo@gmail.com. Dr. Judith Cohen, an ethnomusicologist, medievalist and singer, takes us to the world of music in the Christian, Jewish and Muslim communities which co-existed for centuries in what are now Spain and Portugal. A specially prepared powerpoint with colourful images of medieval and contemporary musicians accompanies both recorded examples and Dr. Cohen’s live sung excerpts. Dr. Cohen holds a doctorate in ethnomusicology and a master’s in medieval studies, and is a specialist in Sephardic and related music. She teaches at York University. Beth Israel is hosting a fundraising event on behalf of the Quebec Masjid victims and their families. We are inviting people of all faith groups to come and stand with our Muslim friends. A number of Community and Faith leaders will share a brief thought for all of us about this tragic event. The Peterborough Mosque plans on delivering the donations to the families affected in Québec City next Friday. A recent Globe and Mail article revisits and talks about how the Peterborough Community has responded to acts of Islamophobia in Peterborough with much solidarity. Here is the link to the article. Dr. Rainville, an aging country doctor with a deep attachment to his patients, is about to retire and is looking fa successor. Jeanne Dion, an emergency room doctor from Montreal, agrees to go to Normétal to Abitibi in northern Quebec to replace him for a few weeks, with no plans for an extended stay. When Dr. Rainville suddenly dies, Jeanne must decide if she’ll take over the job, and its inherent responsibilities, for the long-term. This film is part of the Émond’s Trilogy on the Virtues of Faith (The Novena) Hope and Charity (The Legacy). Like the great French director Robert Bresson, Bernard Émond aims for a simplicity of style that records the pedestrian facts of life while suggesting deeper meanings about the human place in the order of things. A meditation on charity that is both exhilarating and hopeful. Yes, it’s all happening at Beth Israel on December 30th, Friday evening at 6 pm. Dr. Dan will be leading the services in his usual unique style, but he needs help to light the Chanukah candles and to sing the songs, some that go with candle-lighting and others that are just fun for the season. So, plan to bring yourself and your kids to this ONLY-IN-PETERBOROUGH event. Who is coming…Number of adults and kids. Can you help on Thursday Oct. 20 evening to set up. Can you help on Friday after the potluck to clean-up. 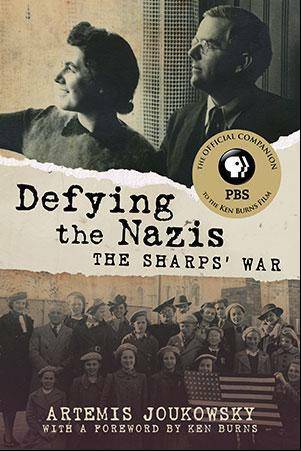 Beth Israel Synagogue and our good friends, the Unitarian Fellowship of Peterborough are jointly presenting a recently released film entitled Defying the Nazis: The Sharps’ War. Check out the film’s poster. The film was directed by renowned documentary filmmaker, Ken Burns and the Sharp’s grandson, Artemis Joukowsky and both will be present for the discussion that will follow the film. The film is an account of a daring rescue mission that occurred on the precipice of World War II. It tells the story of Waitstill & Martha Sharp, a Unitarian minister and his wife from Wellesley, Massachusetts, who left their children behind in the care of their parish and boldly committed to multiple life-threatening missions in Europe. Over two dangerous years they helped to save hundreds of imperilled political dissidents and Jewish refugees fleeing the Nazi occupation across Europe. Their incredible exploits remained virtually unknown and uncelebrated. The Sharps were finally recognized as ‘Righteous Among the Nations’ by Yad Vashem in 2006 and now are properly honoured in a recent documentary and book. The Documentary will be shown. Light refreshments will be served and parking is free. Our president, Larry Gillman, has been a long-time supporter of the work of Dr. Paul Thistle in Zimbabwe, bringing medical aid and relief to the sick and needy in this embattled nation. As Zimbabwe lurches from political crisis to crisis, and this will only get worse as the infighting to succeed the 92 year old dictator, Robert Mugabe, intensifies, Dr. Thistle and his colleagues remain beacons of hope and mercy for the future of this nation with so much potential. In the coming months, Larry will be travelling once again to Zimbabwe, this time together with son David, to help Dr. Thistle and to bring much-needed supplies to the hospital where he is based. To support this mission, Dan Houpt and the Indian River band will be putting on an evening of old time Rock and Roll music on November 26, 2016 at the synagogue. So, mark the date, put on your dancing shoes (and Dan says, bring your own ear plugs) and have a great evening for a great cause. More details will follow in upcoming newsletters, so watch this space. The community is honoured to have a visit from Mr. Max Eisen on November 24. Mr. Eisen is a holocaust survivor of the Auschwitz death camp and as the number of living witnesses to this sad chapter in human history dwindles, it becomes more and more important that we hear their stories and share their memories so that the grim lessons of the holocaust are not forgotten. So, mark this date in your calendar and make sure you participate in this important event. As usual, light refreshments will be served, and parking is free. 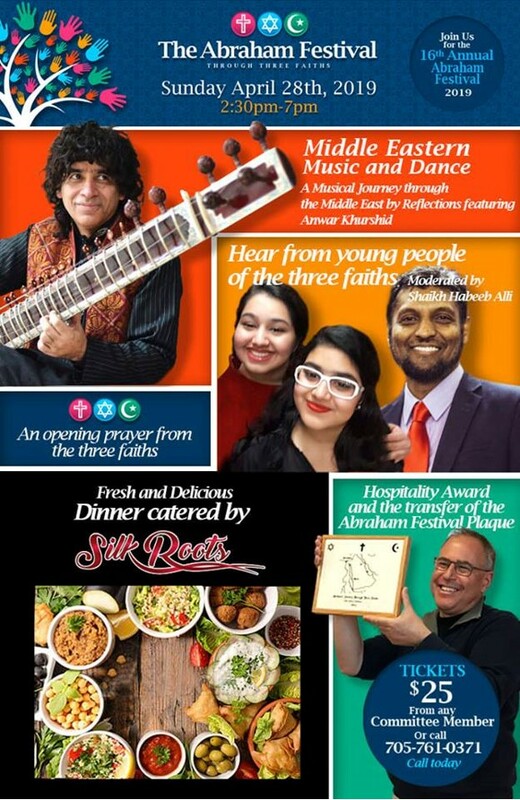 It has been a long-standing tradition that as part of their annual fundraising campaign, JFC-UIA brings a very interesting speaker to talk to the Peterborough Jewish Community. In the past, we have had the privilege of hearing from renowned Israel affairs analysts and political figures. In larger centres, these sorts of events are held in a big hall and you are half a football field from the podium. Here in Peterborough, these events have traditionally been held in a very intimate home setting that allows the speaker and the audience to mingle and interact on a very personal level. This year, the event will be held in the home of Larry Gillman and Jenn Reid at 1 Cindy Street. This is not a potluck. The speaker this year will be Mr. Matthew Godwin who works for CIJA, the advocacy entity of JFC-UIA. He is CIJA’s Associate Director, Universities and Provincial Government Relations. You can find complete details of the evening in the event poster. If you would like to attend this event, please RSVP to Veronica Klein (her contact information is at the bottom of the poster) or send an email to bisptbo@gmail.com. 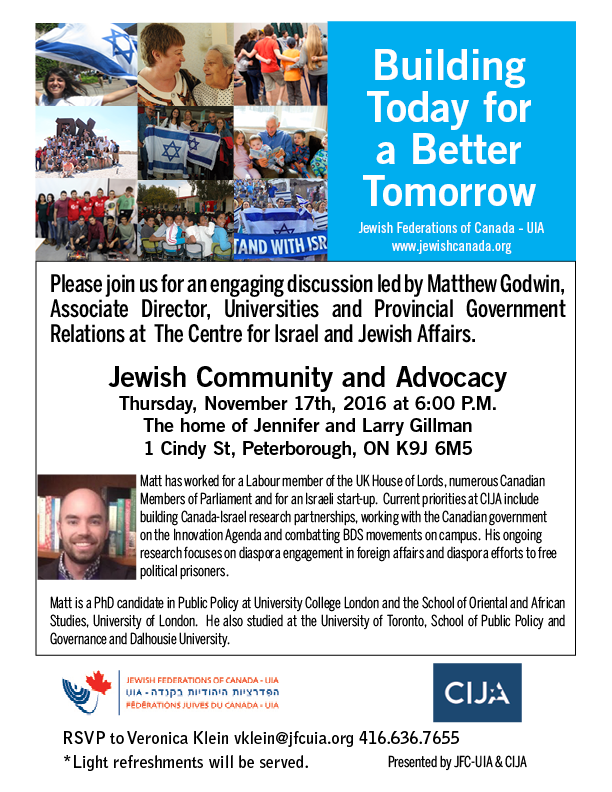 Matthew Godwin is Associate Director, Universities and Provincial Government Relations for the Centre for Israel and Jewish Affairs. Additionally, he is finishing his PhD in Public Policy at University College London and the School of Oriental and African Studies, University of London. Matt has previously studied at the University of Toronto, School of Public Policy and Governance and Dalhousie University. He has published in numerous academic journals. In non-academic capacities, Matt has variously worked for a Labour member of the UK House of Lords, numerous Canadian Members of Parliament and for an Israeli start-up. Matt’s current priorities include building Canada-Israel research partnerships, working with the Canadian government on the Innovation Agenda and combatting BDS movements on campus. His ongoing research focuses on diaspora engagement in foreign affairs and diaspora efforts to free political prisoners. JFC-UIA is in the process of finalizing the details of the Peterborough event and issuing a flyer which will be become available to you here. It will provide some detail about the topic Mr. Godwin has chosen to speak on, so watch this space for more details to come. 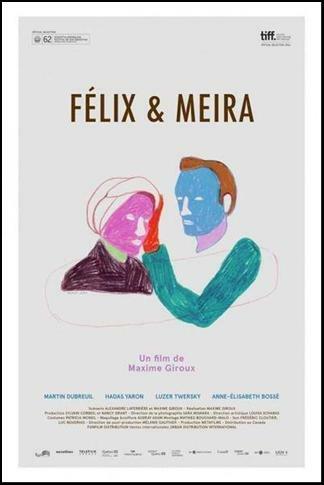 On the evening of November 15, 7 pm, the Abraham Festival Committee is screening the film, “Felix and Meira” by Québec director Maxime Giroux. 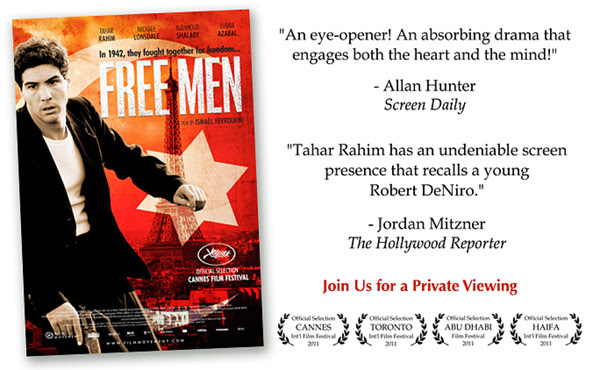 Following the film, viewers are invited to stay on for an informal discussion and light refreshments. There is no admission charge but free-will donations to support the work of the Abraham Festival Committee will be gratefully accepted. 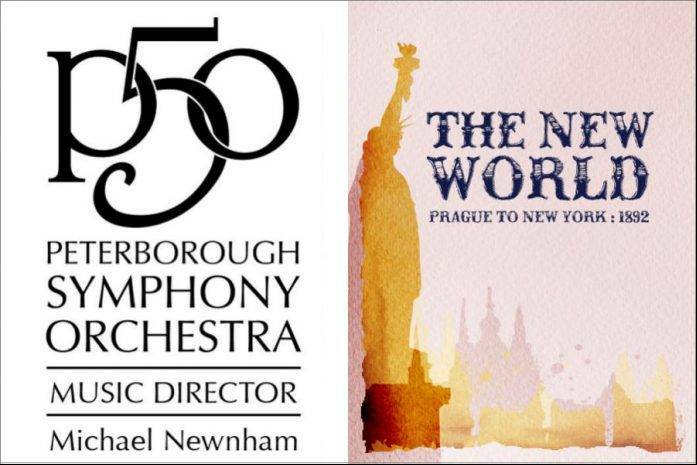 The Peterborough Symphony Orchestra will be opening their 50th season with a concert on November 5th. The concert takes place at Showplace on George Street, starting at 7:30 pm. The orchestra, under the baton of conductor Michael Newnham and presenting guest artist Michael Nyby (Baritone), will be presenting Anton Dvorak’s New World symphony. Have a look at the event poster for this memorable event. When Dvorak travelled from Prague to New York City his music was greatly inspired by the journey from central Europe to the new World. The PSO’s own expedition to the New World begins with compositions influenced by Dvorak’s work – Morawetz’s “Carnival Overture” and Copland’s Old American Songs featuring baritone Michael Nyby, before tracing their roots back to the titular symphony. Tickets range from $20 to $48.50 and are available from the Showplace box office, 705-742-7469, or online at this link. Only in Peterborough, a revival of the drive in movie? OR a new take on outdoor cinema – a presentation of the famous movie, “Fiddler on the Roof”, at the home of Dan and Kellie Houpt. This special presentation will take place in the barn at their farm in Duoro. Please contact bisptbo@gmail.com for address and directions or ask Dan on Friday. We are told that the barn is set up in tiers using straw bales where the audience will sit or lie (snorers will be gently prodded). Should be fun! Please BYOB – BLANKETS – it may be cool and two warm blankets, one to lie on and one to cover up with are recommended. A hat is not a bad idea and cushions might be in order too, whatever makes you comfortable. Also – BYOB – bottles, hard or soft, just remember that one of you is driving home that evening and you are taking your empties with you. Our kind hosts will be providing popcorn but feel free to bring other movie snacks for yourselves or to share. Thanks to the generosity and initiative of Karin Rose, there will be a special twist to this evening as we recognize Simchat Torah with the presentation of mini-torahs to all pre-bar/bat mitzvah-age children in the community. Simchat Torah marks the end of the annual cycle of reading the torah portions and we will mark this important date in the Jewish calendar a few days early on this Friday evening. So, you parents of small children, please note this date and make sure that you can join us for this unique celebration. Volunteers will be needed to help with setup on Thursday evening, October 20 at 7 pm, and to help with cleanup after the event on Friday. Please do your part. Where did that year go? 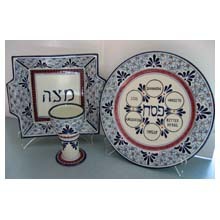 It’s time again to start thinking about observing the High Holy days. Thankfully, we don’t have to do that much thinking, just some showing up, as Cantor Leon Litvack, all the way from Belfast Ireland, will once again be leading our services and as usual, he has it all in hand. For those of you who have experienced Leon’s services, we don’t need to say much and you really don’t need much encouragement because you know that the services will be musical, approachable and enjoyable. For those that have not had the pleasure of joining us for High Holy Day services, all we can say is that you are in for a treat. Our shul is small and intimate. Leon’s services are friendly and make everyone feel as if they are really taking part – because they are. Like the rest of us, you will quickly be a devotee. Whether you have taken out a membership or not, everyone is encouraged to come to the services that they can and to join in the observance of these special dates in the Jewish calendar. And you out-of-towners – want to sit closer to the Bimah than half a football field away? Want to meet up with old friends and make new ones? Want to take part in a service, not just listen to one? Consider joining us at Beth Israel this year. We’d love to have you. More details at “Religious Observances“. Not quite, but the 14th annual Abefest 2017 planning committee is busy preparing the event scheduled for April 23-25, 2017. They wanted to let us know about a pre-event event to be held in the synagogue on October 5 in support of the Abraham Festival. “Celebrating Me – Acknowledging the Value Within”. Download the “Celebrating Me” poster. Dr​.Merchant is a post-doctoral fellow at Trent University with a very diverse and interesting background and a range of academic interests. She is also an experienced motivational speaker and an active participant in the Abraham Festival in many roles. Read more about her and the workshop she will present at the synagogue in the attached poster and MARK YOUR CALENDAR . Wednesday, October 5, 6:30-9:00 pm for this stimulating event. Summer is slowly leaving us but that is no excuse not to enjoy a Kaballat Shabbat followed by a community potluck. As usual, our Dan Houpt will be ably and creatively leading the services at the synagogue at 6:00 pm. And in order to squeeze what we can out of the warm season, Larry Gillman and Jenn Reid have very kindly offered to host the potluck at their home, following the service. When: Service – Friday September 16, 6:00 pm at the synagogue. Please RSVP directly to Jenn at Beth Israel to let her know how many of you are coming and what you would like to contribute to the potluck. The concept of Tikkun Olam is central to Jewish life. It means to repair a broken world. Harlen Wall will lead a special mission and is looking to assemble a team of dedicated and enthusiastic volunteers who will work together in making 100 meals to be provided to the needy in Peterborough. This special mission is called “Operation Mazon” because the Hebrew word “mazon” means nourishment. We must be a light to all nations but it starts in our own community! Please email Harlen at littlezaidy@yahoo.ca to find out more details about this exciting mission and how you can volunteer. Phyllis Kirk, a member (with husband Manny) of our community is exhibiting a collection of her artwork and the launch of a book she has written on August 7, which this newsletter will have missed, but don’t despair, the show goes on until August 21 at the Kawartha Artists Gallery and Studio, 420 O’Connell Road, Peterborough. So, even if you missed the launch, you can still catch the show. Sunday August 14 from 1-4 p.m at the Pontypool Community Centre. Many of you will know that for a time between 1916 and the early 1960’s Pontypool was the Catskills of Toronto, home to a number of Jewish and kosher resorts oriented towards providing working Jews in Toronto with a summer place in the country. 4th Line theatre celebrated this history with their hit play “The Right Road to Pontypool” some years ago. Now, the Manvers historical society has developed a program commemorating this era in Pontypool’s history. They have installed a flower garden and sign ‘CELEBRATING OUR JEWISH PAST’ and Mark Siegel, co-president of our Beth Israel community, will be dedicating the flower bed that afternoon. Members of the Toronto and Peterborough Jewish communities are invited to a celebration of displays, artefacts, walking tours music etc at the Community Centre on John St Pontypool. Come out and learn more about local Jewish history. Should be interesting and fun. Please join us to welcome Shabbat with prayer, song, and, of course, food! 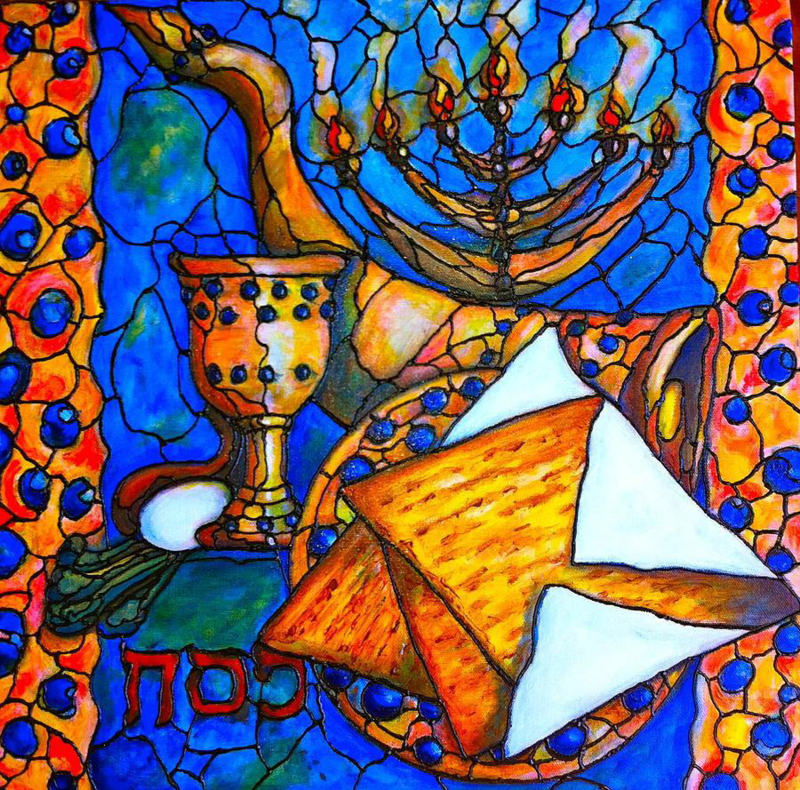 Dr. Dan will lead us in a Kaballat Shabbat service at 6pm. If you have never been to one of these services, you are missing out! Highly accessible and family-friendly, the service combines music, prayer, and reflection. A vegetarian potluck with follow the service. So, mark your calendars. RSVP to this email address: Beth Israel (mailto:bisptbo@gmail.com) . Please use the same email address to let us know you wish to help out before or after the Service and the meal. See you there! Come one, come all this Saturday June 11 at 10 am to Beth Israel Synagogue for a morning of Hebrew Song. Dr. Dan will be teaching songs new and old; this event is directed towards families with children, but all are welcome. Coffee/tea and juice and munchies will be provided. Song sheets will be also be provided. Items from the floor that you would like to discuss. Light refreshments will be served, and we look forward to seeing you there. helping to clean up – please volunteer. As you know, the kitchen and basement areas of the Beth Israel synagogue are now kosher-style with respect to food. When deciding what to bring for the potluck, please contact Beth Israel for the ​​policy statement and with any questions you might have. Go to the Religious Observances page for details. 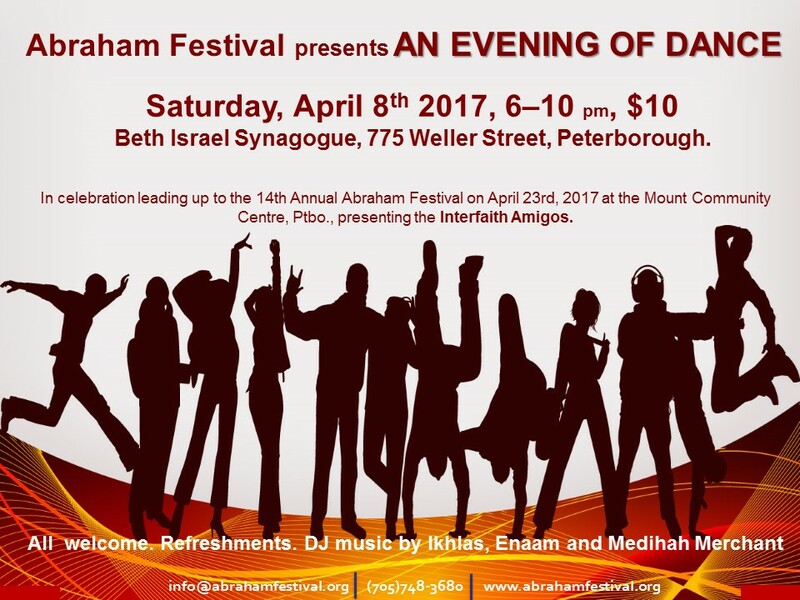 Beth Israel is holding two Abraham Festival events: Kaballat Shabbat services and a dance. The “Welcoming the Stranger: The Refugee Experience” brochure and poster offers details about the full agenda of activities. Join us on Saturday, February 20 at 7:30 at Beth Israel Synagogue for a family friendly fundraising dance with the Indian River Band and Special Guests. 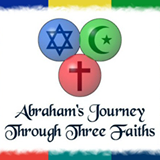 The event is being hosted by the Abraham Festival group. Tickets are $25, $15 for students or unwaged and children are free. Please contact Heather ( heather.clearlake@gmail.com), Larry (larry.gillman@freedom55financial.com) or Brian (briannashman@gmail.com) for tickets. On December 12th, the Canadian Jewish News published an article about Beth Israel Synagogue entitled: “Synagogue is at the Centre of Jewish Life in Peterborough”. An online version of the article can be found here! Come out all and help celebrate the first night of Chanukah at the Beth Israel/JCC! The community along with friends, relatives, and neighbors are all invited out to help bring in the first night of Chanukah. There will be some live music and songs afterwards, and snacks provided, so bring along your own Menorah and candles as well if you wish. I was both sad and concerned to learn about the fire at Masid Al-Salaam Mosque. My sadness turned to anger when I later found out that the fire was arson, and that the police are treating this as a hate crime. The vast majority of people in Peterborough are caring individuals who respect the differences of others, and support those people who are in need. It is these very things that make our community great. There is no room for the hate of whomever committed this cowardly act at the Mosque. Tonight I attended a fundraising dinner sponsored by the Abraham Festival. The money raised will be used so that a Syrian refugee family can relocate to Peterborough. The event was put together by a long standing group of Christians, Muslims, Jews and other religions, all of whom attended the event. When I looked at the spirit of good in that room, it reminded me that this is the Peterborough I know and love. Tonight I talked with Kenzu Abdella the President of the Mosque, to let him know that the Peterborough Jewish Community stands united with the Muslim community. I was overjoyed to hear Kenzu tell me that the response from Peterborough and beyond has been very strong and supportive. I let Kenzu know that we share the space at the Beth Israel Synagogue with our friends from the Unitarian Fellowship. Both the Unitarian and Jewish congregations have invited the Mosque to share space at Beth Israel while repairs are ongoing. We look forward to meeting with Kenzu this week to talk about ways we can support. On Sunday November 15th, from 5-8pm, Abraham Festival organizing committee and friends are holding a fundraising dinner at George St. United Church. Tickets are $25 each. Part of this event is a Silent Auction. Thank you to everyone who has requested tickets. We have set them aside for you. We would love as many people from the synagogue as possible to attend the dinner. Please be in touch with nancynashman@gmail.com regarding tickets. We wanted to let you know what has happened in our application to bring a Syrian family to Canada. We have the possibility of sponsoring a single 34 year old mother and her three children; they fled from Syria, and are now in a camp in Jordan. We will be responsible for supporting them financially for 12 months, and for finding housing, helping them integrate into Canadian society etc. They could arrive as early as the first of December. Set in 19th-century Australia, Jila is born between the worlds of her Afghan father and Aborigine mother. An Insightful and refreshing story in the dignity allowed to each culture, each religion. Dr. Kokkonen travels around the world to speak to Christian, Jewish and civic audiences about the Holocaust, antisemitism and Israel. Fluent in six languages, she is skilled in presenting difficult content in a way that touches hearts, inspiring positive action and reconciliation between people and the past. Dr. Kokkonen is equally adept in presenting ideas in print, as well as in television and radio interviews. With her gentle, straightforward and articulate manner, she’s at home behind any microphone. Affectionately called “A Christian Ambassador for the Holocaust” (AnglicanJournal.com), Susanna maintains that although the Holocaust is a particularly Jewish tragedy, universal lessons can be learned, such as: how humans behave in a crisis, how genocide happens, and how we can heal and commemorate this devastating period in history. Audiences she addresses come to learn, and leave inspired and equipped, transformed by the encounter. When not on the road speaking and teaching, Dr. Kokkonen is on the Yad Vashem campus escorting Christian dignitaries, addressing Christian groups, organizing the annual Christian Leadership Seminar and encouraging the Christian community to support Yad Vashem’s important work. Originally from Finland, Dr. Kokkonen worked at the European Parliament in Brussels and at the Embassy of Finland in Tel Aviv. In 2004, she received her Ph.D. in Holocaust Studies from the Hebrew University of Jerusalem, where her dissertation topic was Jewish Refugees in Post-War Italy, 1945-1951. Her book entitled Journey to the Holocaust: Hatred of Jews in Light of the Bible and History was published in Finland in April 2014. Feel free to share and post this public event. If you are interested in Holocaust Education Week in Toronto, the Sarah and Chaim Neuberger Holocaust Education Centre has assembled a very extensive and varied program based around the theme of Liberation: Aftermath and Rebirth. The presentations include lectures, theatre and film, music and dance, exhibitions and discussions. Set in 19th-century Australia, Jila is born between the worlds of her Afghan father and Aborigine mother. This is an insightful and refreshing film in the dignity allowed to each culture and each religion. It explores a part of Australian history that is not widely known, the role played by Afghan camel herders in opening up the Australian outback, and the complex cross-cultural dilemmas that sometimes resulted. Once again, to kick of their annual fundraising campaign, Our old friend, Perry Romberg working once again with JFC-UIA is bringing a distinguished speaker to Peterborough to update our community on the situation in the turbulent middle-east and how it affects Israel, world Jewry and these days, just about everyone. Tall order? Whether you are an unconditional supporter of Israel or a strong critic of Israel and its policies or anywhere in between, you know that the speakers that JFC-UIA has brought to our community are extremely well informed and provide us with a nuanced and carefully thought out perspective supported by research and data. 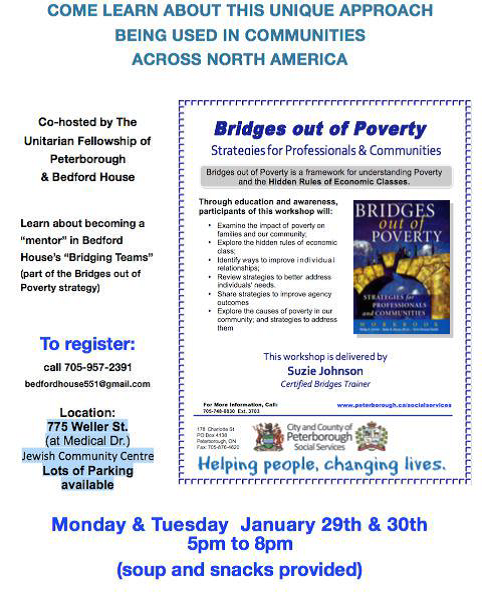 And if you have attended these meetings before, you also know that here in Peterborough, you get a chance to meet and interact with these distinguished lecturers on a very personal level, something that people in large centres like Toronto or Montreal cannot experience. So, please mark your calendars for this important event. Whether or not you contribute to the JFC-UIA campaign is not the issue and is not the focus of this meeting. All Jews should make an effort to inform themselves about matters that affect Jews in Israel and worldwide so take advantage of this unique opportunity to do so. (Please note that you must be there on time: latecomers cannot be admitted until the service has been completed). NOTE: Tuesday (September 15) Afternoon Pot Luck at Houpt Farm. Please RSVP to Kelli and Dan by sending an email to bisptbo@gmail.com to let us know who is coming and what you would like to bring for the meal. Please RSVP by sending an email to bisptbo@gmail.com to let us know who is coming. 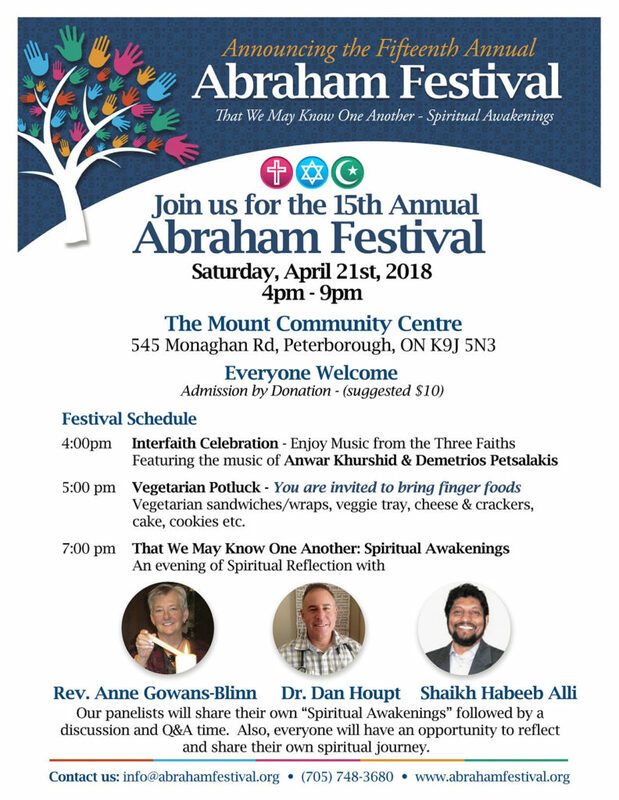 This is the 12th Abraham Festival, unique to the City of Peterborough, put on by a network of Jews, Christians and Muslims who work to demystify the other, grow relationships that bind together those who have been strangers, and to listen and learn from each other’s traditions. The 2 day festival includes worship services in each tradition, a vegetarian potluck lunch and a peace-building workshop. All of the related events are free and open to all people of any or no tradition who desire peace. With escalating political conflict, growing fear of unfamiliar neighbors, and increasing concerns about the Government’s Bill C-51, the importance of these communities learning more about one another has never been so evident. Sutherland Campus, Fleming College 599 Brealey Drive. Parking is free. Beth Israel Synagogue, 775 Weller St.
Men should wear a head covering. St. Andrews United Church, 441 Rubidge St.
How to Protect Non-Violently. Facilitated by Gianne Broughton and Ruth Hillman. In this interactive workshop, participants will get a taste of the possibilities of peace, and will strengthen their own conflict resolution skills. Greetings to the Peterborough Jewish Community. I am pleased to announce that our Annual General Meeting will take place on Monday April 20th at 7PM at the Synagogue. Our AGM is always a chance to meet informally with others, discuss the latest developments, and enjoy some light refreshments. Everyone is encouraged to come out. As always Members of the Synagogue will have an opportunity to vote in our Board for the upcoming year. Should you wish to join the Board, please contact me. We will also provide updates and invite questions on a number of developments from the past year including (but not limited to) the kushrut initiative, our 2014 financials, our new constitution, our recent 50th celebration, religious leadership for the upcoming year, and other topics on your mind.